But a facade based on bullying is brittle and it is collapsing around them. Graeme Campbell had already handed out copies to Australian Senators and the onlooking media, as they entered Parliament House this morning for one of the most important pieces of legislation in the history of the Federation. Christine Milne (The Australian Greens) refused to take a copy. Campbell dryly replied “Ignorance is Bliss.” Bob Brown, to his credit, simply took one. We can only hope that he reads it. He is free of course, to find any holes or flaws and state them. It would help immensely if he could name and explain THAT mystery scientific reference with empirical evidence that no one else can find. Indeed if Senator Brown is deeply concerned about the environment, the single most useful thing he can do to stop the rise of skeptics would be to provide the evidence that we ask for, and soundly debate the science in public. Reading the two handbooks would be a fast-track to understanding what we need. The police asked Campbell to move on, so he asked “on whose authority?” The police politely backed away. The Black Rod of the Senate appeared, presumably at the request of one of the Senators, and ordered Campbell to leave. The sole policeman there declined to remove Campbell, and reinforcements were requested. After this, Campbell tried to enter the building with the remaining books and was illegally refused entry. 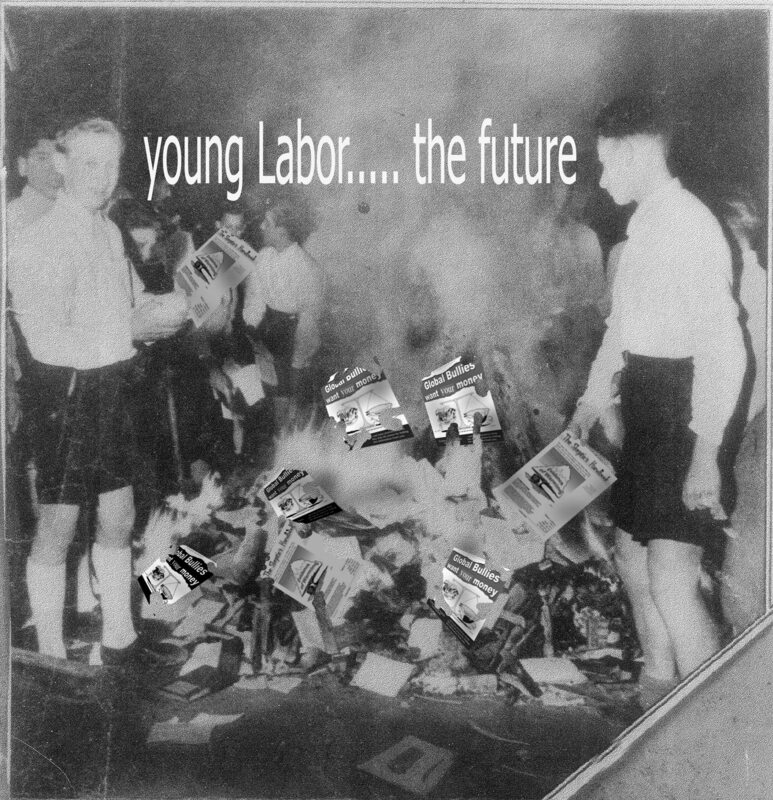 Today 150 copies of the pre-print run of the new Handbook and 450 copies of the first Skeptics Handbook are circulating around Parliament House, as an Opposition Leader’s future potentially hangs in the balance, and the government tries to ram through major legislation. That according to an email I received, Louise Markus MP’s office spokesperson “confirmed that ETS is an irreversible decision”. (Thanks to Craig B). Meanwhile emails are flying in from citizens demanding a stop or at least a delay to this massive irreversible legislation based on fraudulent science and an audacious bureaucratic bluff. Click on it to see a close up. UPDATE: See commments 11, 12 for breaking news. More added as it comes in. Well done Joanne. I am happy to hear that your latest book is being seen by those who make the decisions. Apologies for posting my question here Jo, it’s a bit off-topic. Although you haven’t posted explicitly on the subjects, in reading your posts and comments I was pleased to note what I thought was a bit of support for libertarianism and paleo nutrition? Was I imagining that? I’m increasingly finding these ideas clustered together in the blogosphere, I have my own thoughts why this is so, but would you care to comment? Whoops, I don’t think I was as clear as I could have been, I meant to say I think there’s a congruence between AGW skepticism, Libertarianism and Paleo nutrition. Again, sorry for derailing the blog topic. Judging by the stories that just lobbed at The Oz, Turnbull might very well be finished. Things happening fast there. We can only hope. looks like a big night coming up. They really should have taken my nuclear advice… still a few hours to go I guess. Lord Monckton was right, the Fabians have finally thought it safe to come out in public, thinking they have finally won. http://www.fabians.org.au – their latest newsletter is interesting – free download. Turnbull is finished. Any politician who contemplates this unholy ‘greenwashed’ ETS scam is an idiot. The liberals could have (I hope they still can) positioned themselves very favourably in a double dissolution election. The general public may not understand the complexities of climate science and they may not be able to see that science has been corrupted but they do understand and despise the words: “new tax” very well. The liberals can wipe the floor with labour if they can only capitalise on this new groundswell of opinion against the ETS. Dean Turner # 7 – You nailed it. But why does Turnbull have this weird blind spot? I think AGW must be some kind of affliction. Global warming has been revealed to be a grotesque scam – especially now that nature is giving global cooling instead! seems. The political elite wishes to foist on us voters, their theoretical masters, lies & falsehods to get their way over their warmist scam. Carbon trading is an easy source of revenue & political favouritism for these politicians whose only true interest is for themselves & their full pockets – not us voters who have to pay ever-increasing taxes to fill their corrupt pockets. POST UPDATED! Mark has sent in a mock up photo I’ve added at the base. Opposition Leader Malcolm Turnbull is believed to have declared victory on his climate change deal, with opponents of the agreement furious. A Liberal source told AAP that Mr Turnbull accepted the deal as supported, even though the number of speakers at a coalition party room meeting were 46 against to 33 for the deal. Time for Liberal Members to get a democratic leader, or at least find a guy who can count. Will Turnbull survive. See this story and the poll. 903 votes so far with the majority saying Turnbull will not be leader of the Liberals by the end of the week. Would it be fair to say that Malcolm’s achilles heel was the inability to take advice? Answer as I see it: $$$$$$ – it can be a real affliction. When I was Liberal Party branch secretary in Kununurra during 1989-90 I, then as now, wondered why it was so easy for a politician, on not getting preselection for the Liberals for a seat, to then get it from the ALP. In this light Turnbull’s deal with Rudd and Wong isn’t all that surprising, given that fact and the present one that he is a former Goldman and Sachs partner. As Alan Jones often points out on 2GB, every time Turnbull comes to a fork in the road, he turns left. There isn’t really much to choose between the present Liberals and the ALP it seems. Life is going to be very interesting if the ETS is somehow forced through. Malcolm The Insipid is gone. His pathetic pandering to the Rudd/Wong agenda is now exposed. It’s a pity it took many of the party so long to get a spine to back up the likes of Jensen, Bernadi and others. I think there’s a congruence between AGW skepticism, Libertarianism and Paleo nutrition. Again, sorry for derailing the blog topic. That is a very good comment there! I’ve always wondered if there was such a connection generally, but I have never had it confirmed. Great observation. For me, the path was 1) nutrition, 2) AGW skepticism, 3) Libertarianism. The first one 3 years ago, the second 8 months ago, the last 2 months ago. Widely disparate issues these, so it might seem they must have no connection. Are you aware of any other ones? I think it really is just a reflection of an honest, truth seeking mind set. Or in other terms, in this crazy world of lies and controls and immorality, the human spirit resurfacing and shining above it all. But yes, look, an honest mind seeking or open to the truth can sometimes find it. Once you discover one of those three points above, the others will eventually follow. Finding ANY one of those means you have a mind that can think and rationalize and understand reality. I do not understand why some minds are not able or willing to do this. Working in academia, I find willful and vengeful resistance to such exposure. This is all very much about the good of reality, and the evil that tries to cover it up. Lionell Griffith would be a good guy to make some comments here. Maybe you can point him here Jo? Now the lawsuits are being filed. NASA and GISS have refused for 3 years to release FOIA covered data and Gavin schmidt, James Hansen are in hot water also. Handing out a Skeptics handbook. How dangerous. Cooking temperature reposts in the end will be found as dangerous. JP: For me, the path was 1) nutrition, 2) AGW skepticism, 3) Libertarianism. For me, nutrition is a limited issue. I am type 2 diabetic and I am on a carbohydrate restricted diet. Other than keeping me alive, it has nothing to do with my AGW skepticism or libertarianism (note lower case L). My skepticism comes from my extensive training in the hard sciences and long experience in high technology engineering and product development. I know how to know and how to translate that knowledge into things that work. It was clear to me that the claims of the AGW pushers were deeply flawed shortly after they started pushing them (ca 1988). They blamed a trace addition to a trace gas on a suspiciously determnined global warming shortly AFTER they had claimed an imminent global cooling catastrophe on man’s industrial activities. It didn’t compute simply because their claims violated the three laws of thermodynamics. The sun was the source of our heat, heat drives our climate, hence the source of climate change STARTS with the sun and not a trace of a trace of a gas in the atmosphere. I found the whole ecology putsch bogus. A clear definition of and the upholding of property rights could have solved all the problems they wanted a Government takeover to do. All the actions they had proposed were violations of individual rights and property rights in particular. They projected that a flea or a cockroach had superior rights to man while man had no right to exist BECAUSE man lived by using his mind. Nothing could be more absurd. My political thinking goes way beyond mere Libertarianism. Like the Libertarians, I believe Government should/must stay the hell out of one’s economic and private activity and associations as long as one doesn’t initiate force against another. However, I know why down to some very fine detail – it has to do with the nature of man’s mind, HIS life, and their relationship to reality. The Libertarians simply believe it and at the same time have no real reason for believing it except they just want things that way. That is simply not good enough for me. THAT is exactly why the US Conservative/Republican movement is all but indistinguishable from the Democrat’s results. Except for the most part, they are better Democrats than the Democrats. The Libertarians will end up in exactly the same place for the same reason: faith doesn’t work even for the people who say they have it. They simply pretend it works. This is a question I find myself asking a lot, given how limited and flawed my understanding was of those subjects just a few years ago, what other blind spots might I have in my knowledge about the world? I suspect evolution my have enormous capacity to inform us about human behaviour/psychology in the same way it has informed nutrition. Always got my ear to the ground in any case. where are the experiments that show co2 warming is logorithmic? shouldn’t these be public knowledge? George Rock, this explanation of the absorption spectrum of CO2 should be useful. So much for democracy??? Last election the Coalition, ALP and Greens all had an ETS platform. If turnbull has the numbers the libs will pass this one. How much more bloody democratic do you want it????? Outrageous! Joanne, are you aware of the latest scandal? Allegedly some hackers have published on the web some emails of the alarmist scientists. I personally believe someone blew the whistle on these frauds! The emails are the most damning evidence against them yet. Well done Mike W – hijacker of the month ! As for the rest of you – do you really listen – even to yourselves ? There has been plenty of commentary over the months on this blog about the AGW/CC narrative, and with the CRU revelations we see how the narrative has led the “research”, culminating with a glorious outburst of political engineering and group think. Yet what do commentators here do ? Why launch their own narratives of course. You appear to be culturally joined at the hip to CRU. i went to the australian to vote against turnbull and u couldn’t read the question – it was blocked. it seems the vote is ticked for ‘yes’ because when i clicked vote, hoping a new page would open, it carried my vote as a ‘yes’ vote it would seem. more tricks. The kindest and gentlest apologies to Kieth. Mike W: The above link will open more doors. LaRouche really ties everything relating to rational thought together into a viable political viewpoint. I was amazed I had never heard of this man before. JP – no apologies necessary, except for misspelling my name. I get a bit reactive to narratives that’s all. And not saying I don’t indulge in them sometimes, I just dislike them gaining political traction, otherwise we can miss the real world. I would far prefer to discuss Graeme Campbell’s blockage at parliament house. 1. Why does an ex-MP still retain a full access security clearance ? This seems like a lapse of security procedures to me. 2. While Campbell would seem to be in compliance with security procedures, the intervention of Usher of Black Rod was totally inappropriate. A good friend of mind actually held that post for a while. He told me of many instances where politicians tried to lean on him to act in various situations – including similar to this one. His typical reaction was to ring up the shift supervisors for security and check that activities were compliant with procedures, and that was about the end of it. He was also an active practitioner of MBWA. The current UBR needs to grow a backbone, and probably the Clerk of the Senate also. While the department of the senate is generally used to handling whinging politicians, they probably encountered strong pressure from senior MPs in this case, probably Labor I would guess. There was a case last year where a senior public servant arrived at parliament to give a briefing and was addressed as mate by a security guard. I’m told the ruffled feathers were a sight to behold (my neighbor actually works as a security guard there). That incident may have resulted in sensitization of senate staff, maybe resulting in the current silliness where UBR has overreacted. Keith – why pressure from Labor? They will have LOVED the antics with the handbooks. Yes, I have heard of Lyndon LaRouche but nothing that lead me to believe he was anything other than still one more verbal squid hiding behind a cloud of words. As a consequence, I have ignored him as I have most of the brain dead MSM. However, on your suggestion, I sampled the linked web site. I found nothing leading me to conclude that it was worth my time and effort going more deeply into his writings. If he had something worth saying, he could have said something in nearly every paragraph worth reading. Value would have been easy to find. There was no there there. No statement of fundamental principles nor exposure of the thought process leading to his flood of words. I see nothing that would induce me to change my initial impression of him that he is nothing but a verbal squid. You can be needlessly harsh at times, Lionell! You’ve dealt with squid such as Robin Grant too many times here! It’s roughened your edges. Trust me, there is value there. In fact, I challenge you to tell me what is wrong with the ideas presented in these documentaries, and offer me an alternative that exists in reality, in a person, as a viable political choice. I meant to include this important one as well, Lionell. This post may appear before another longer response to you because the first one included a name that seems to be “caught” by the moderation filter. Watch this documentary first if you like, before my other response to you appears. PS I guess whistles will now be on the banned list for the public areas. Click here for a sample of the most egregious emails showing the scientists conspiring to lie on global warming. “All that these emails show is what we said in our New Citizen newspaper in 2007—global warming is a fraud, and yes, scientists do lie,” he said. Mr Isherwood pointed to the United Nations Population Fund (UNFPA) report, State of World Population 2009 which has utilised the WWF-funded, CRU-written, IPCC assessment to claim the only sure way to cut world carbon emissions by two billion tons/year by 2050 is to reduce the year 2050 population of the human race to the lowest level the UN dares mention, eight billion people, declaring “[n]o human is genuinely “carbon neutral,” … [t]herefore, everyone is part of the problem…” The UNFPA specifically rejects energy-intense technologies like nuclear fission and the development of fusion to cut carbon emissions. “The British genocidalists behind the global warming fraud, who all come out of the British imperial swamp of free trade and eugenics race science, are determined to reduce high-technology scientific growth, which will cause dire poverty, disease and famine, leading to an inevitable collapse of the human population, by billions,” he said. Mr Isherwood charged, “Given this evidence of undeniable fraud, and the evil agenda it serves, the fact that our Parliament is tearing itself apart to push ahead with an Emissions Trading Scheme that will do nothing for our climate, but will gut our industries, is a crime against the people of Australia. “It’s time for a revolution against British genocide, to develop sovereign nation-states through high-technology infrastructure like nuclear power, high-speed rail, and water diversion projects to green deserts, expand agriculture, and raise living standards the world over,” he concluded.